Automotive News Editor-in-Chief Keith Crain, right, received the 2015 Automotive Lifetime Achievement Award at the Boca Raton Concours d'Elegance in Florida on Feb. 21. AutoNation CEO Mike Jackson, left, was the event's honorary chairman. Event Chairman James McDonnell IV called Crain a "true pioneer in the automotive industry." 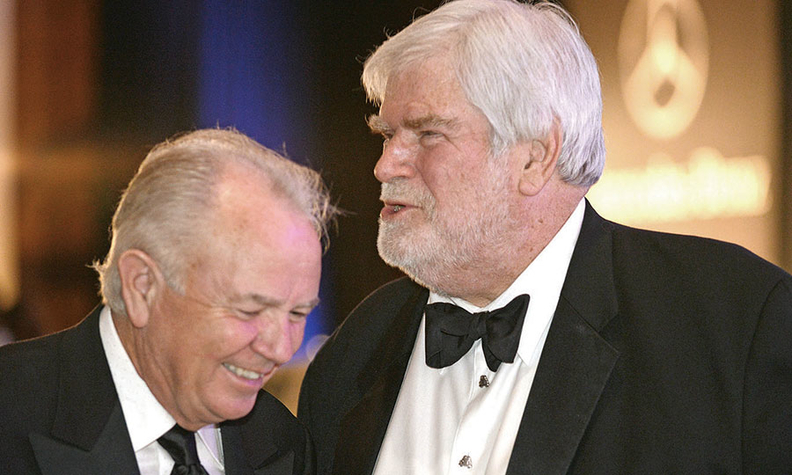 Past recipients include Roger Penske, Carroll Shelby and Edsel Ford. This year's events -- the awards dinner, car show and auction -- drew more than 6,000 people and raised more than $1 million for the Boys & Girls Clubs of Broward County.